Silvercar uses photo contests to engage its social media users. In honor of Valentine’s Day, Silvercar featured a #KissAndTell contest, where users were encouraged to post their worst car rental experiences. To increase your social media presence, setting up an account is not enough. 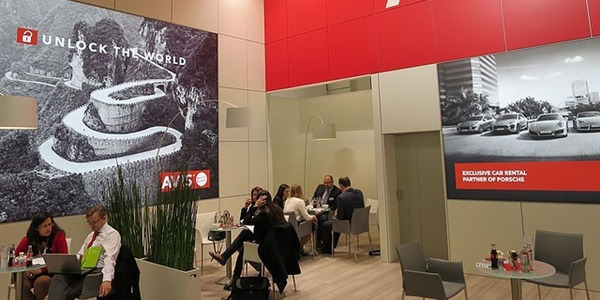 A rental company needs to be regularly active on social media — but what are the right ways to connect and maintain engagement? 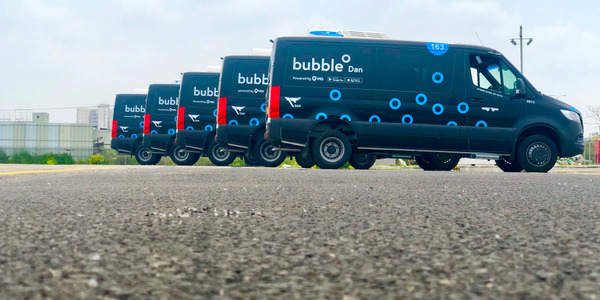 Twelve operators share tips that have helped them connect with social media users — from implementing creative contests to leveraging customer photos to producing YouTube videos. To target its local market, Brooklyn-based AllCar Rent A Car has developed Facebook contests with a local flavor. “You want to do something of value where contest winners are local,” says Gil Cygler, CEO of AllCar. With a grand prize of a three-day AllCar rental and a two-night stay at a local bed and breakfast, contestants entered by visiting AllCar’s Facebook page and signing up for AllCar’s newsletter. 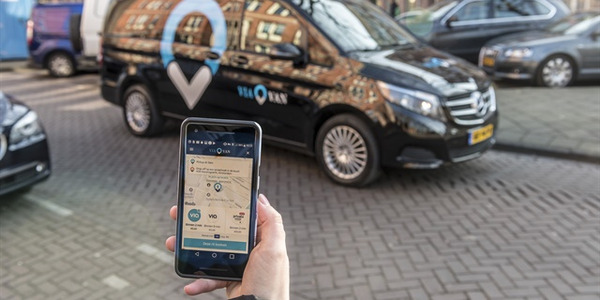 After AllCar chose the winner, the goal was to have that person take a picture in the rental car on the getaway and post it on AllCar’s social media pages, including Twitter and Instagram, says Cygler. Silvercar uses photo contests to engage its users. 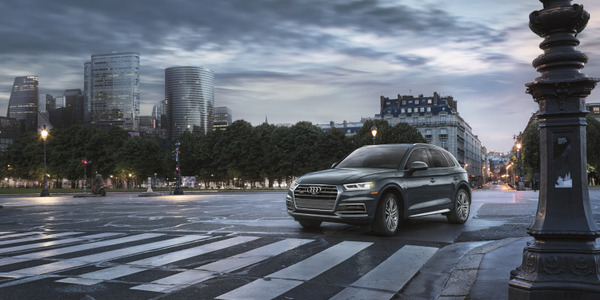 On a weekly basis, Silvercar features a #SilverShots contest where renters are asked to post a scenic photo with their silver Audi A4 for the chance to win a free four-day rental, says Nicole Bodle, Silvercar’s marketing manager. Photos are posted on Silvercar’s Facebook, Twitter and Instagram pages. 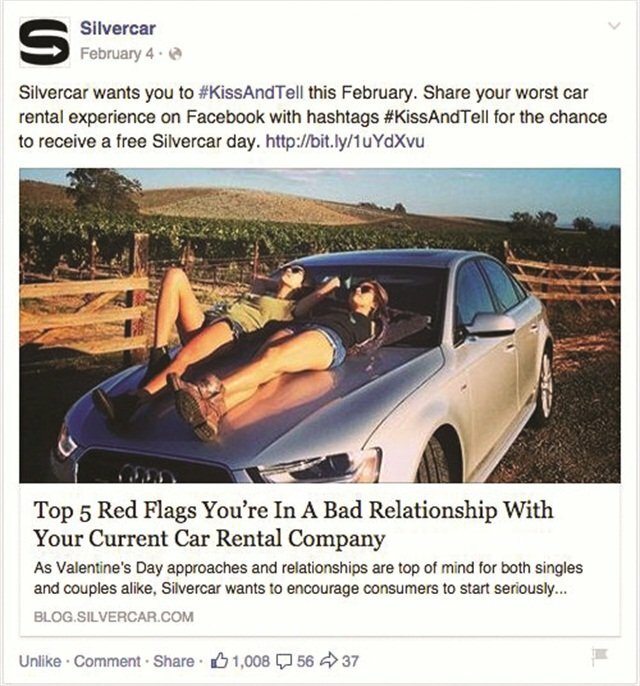 This past February, Silvercar promoted a social media contest with a Valentine’s Day theme. 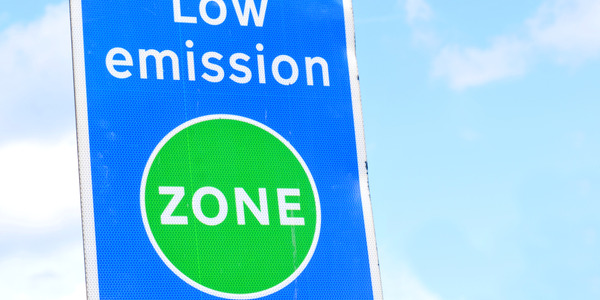 Consumers were encouraged to #KissAndTell about their worst car rental experiences. Each week in February, up to 20 of the best “worst” stories earned a chance to win one free Silvercar rental day. Fox Rent-A-Car has seen an increase in engagement with social media giveaways through its Facebook and Twitter pages. With one giveaway running at a time, giveaways usually last a month. But sometimes Fox runs flash giveaways lasting as few as three to four days, which are concurrent with other giveaways. Once a user has entered the giveaway, he or she must post to Fox’s Facebook page for the entry to qualify. 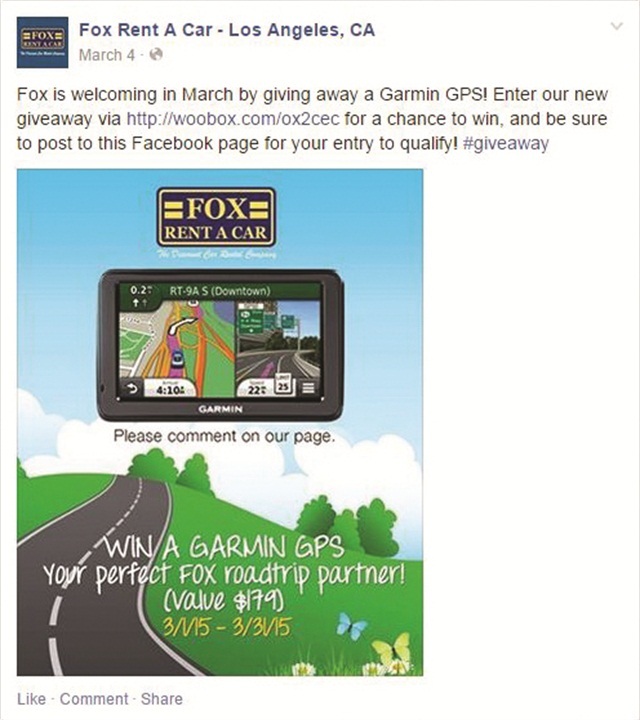 Fox Rent-A-Car has seen an increase in social media engagement with its giveways on Facebook and Twitter, which have included a Garmin GPS, iPads, a GoPro camera and a Kindle Fire. Miami’s Speed Auto Rental launched a social media campaign around a local event. “In order to get more followers on Instagram and Facebook, we gave away some tickets for an upcoming soccer game and asked our followers to tag five friends and share our promotion to qualify for the tickets,” says Tatiana Da Cunha, co-owner of Speed Auto Rental, a luxury and exotics rental company. Whether posting photos to Instagram, Twitter, Facebook or Google+, photos can be a good way to bring more visual engagement with social media users. For Jimmy Fitzpatrick at Leisure Car Rental in St. Maarten, a customer sent an email thanking him and his team for their rental service. In the email, the customer included a photo, posing next to the rental car. With the customer’s permission, Fitzpatrick uploaded the picture and posted it on Leisure’s Facebook page. Soon after, “customers started telling us that they found us on Facebook,” says Fitzpatrick, general manager. Now Leisure regularly posts photos of its customers with their rental cars and includes a “thank you for renting with us” note. 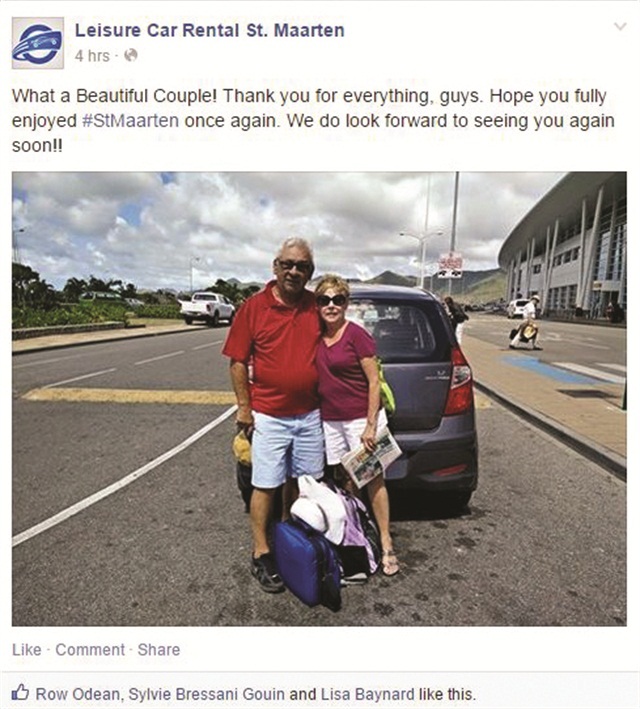 On its Facebook page, Leisure Car Rental regularly posts photos of its customers with their rental cars and includes a “thank you for renting with us” note. 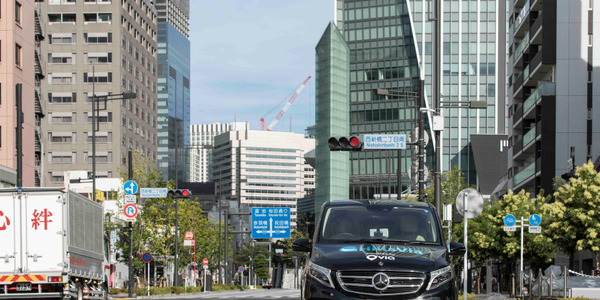 EagleRider, the motorcycle renter, and Silvercar encourage customers to post photos of themselves while “on the road” with their rental vehicles. “Social media is an ideal platform to visually tell a story that allows viewers to transport themselves to the many vacation spots that our renters travel to,” says Bodle. When customers rent Harleys from EagleRider’s Los Angeles location, they will often post photos from their motorcycle trip on the company’s Facebook page, says Hal Oreif, chief technology and product officer. A few customers have even uploaded videos of riding the motorcycles. Photos of vehicles can also generate “shares” and “comments,” especially when it comes to luxury and exotic rentals. Sam Zaman, owner of Black & White Car Rental in Beverly Hills, Calif., has noticed that his company’s exotics usually get the most hype on its social media posts. “When we post photos on Facebook, we do the same posting on Twitter and Instagram,” he says. Speed Auto Rental not only posts images of its exotic rentals on Facebook and Instagram, but it also creates videos of the exotic vehicles to rent. By posting the videos on YouTube, it exposes the Speed Auto Rental brand to more viewers on another social media channel, says Da Cunha. When posting stories, the content doesn’t always need to revolve around car rental. It’s nice to get more creative and focus on travel, local news or other interests of a company’s markets. To help promote travel to Turks and Caicos, Grace Bay Car Rentals focuses its posts on positive content about the island, including photos of the beaches and stories on local community service projects. 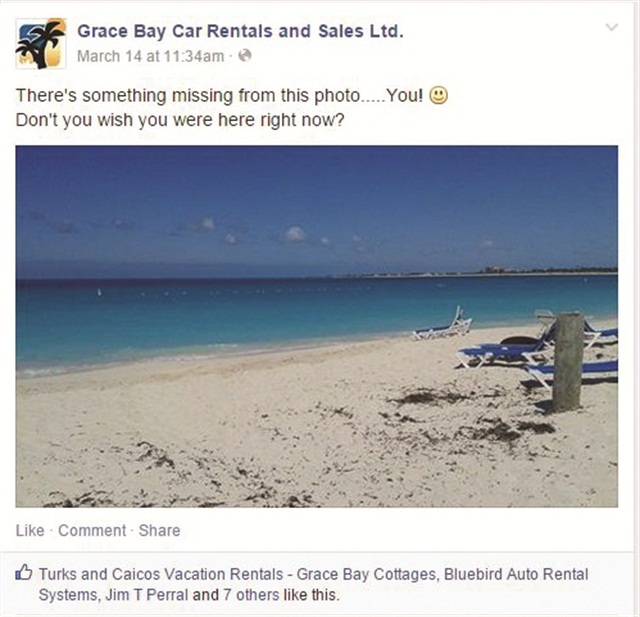 “For us, we use social media to remind our clients of their second home — hopefully encouraging them to book a last-minute trip or visit more frequently,” says Todd Foss, owner at Grace Bay Car Rentals, a Thrifty franchisee. 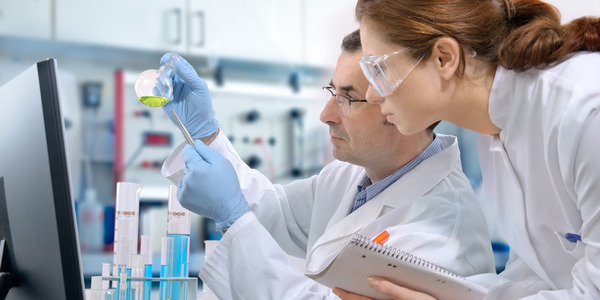 Posts are also determined by the interests of the company’s major markets. Because a big part of its market is from the Boston area, when the Patriots won the Super Bowl, Grace Bay posted its logo with a football and a congratulations message, according to Foss. To help encourage travel to Turks & Caicos Islands, Grace Bay Car Rentals posts photos of the local beaches and scenery on its Facebook page. During the Holy Week celebration in Guatemala, Hertz posted stories related to Guatemala’s Holy Week events, including travel tips to prepare for a Holy Week road trip in Guatemala and the top six Guatemalan destinations for Easter. To help develop their social media pages, some independent operators have chosen to look to an outside source for assistance. 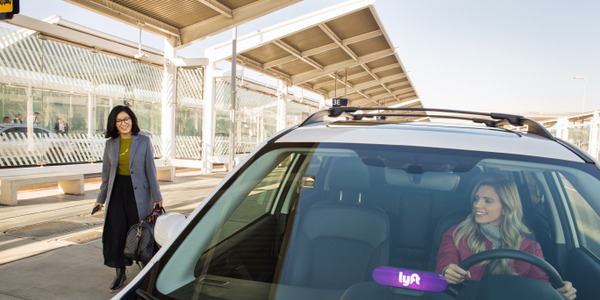 For Yaz Irani at Airport Van Rental, it’s been more cost-effective to contract out his company’s social media duties to a consultant.